Indeed, FullSoul has been inspired by countless other organizations throughout our years- and each volunteer brings many of their own influences as well. 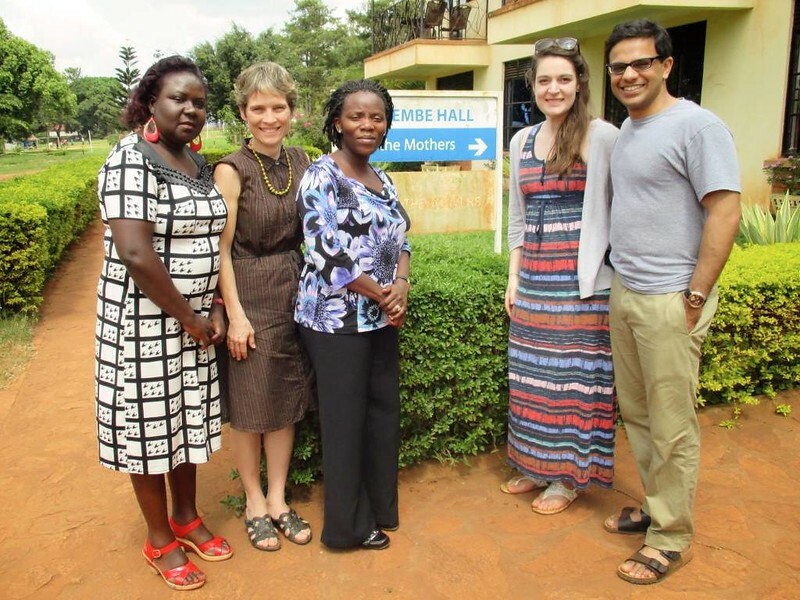 Christina’s first-hand exposure to the issue of maternal mortality in Uganda was during her co-op placement in 2013, working at Save the Mothers in the East African country. Working with and learning from other students- any who were forming their own organizations at the same time- at St. Paul’s GreenHouse at the University of Waterloo, was another great way for Christina to connect with passionate individuals- and volunteers! Students in this program are encouraged to reach out to those in their industry of interest, and work with them to see not only what is needed, but what has worked and perhaps more importantly, what has not in the past. It takes collaboration to know exactly where those gaps are and what is needed to fill and resolve them; With years of collective experience among organizations, it makes sense in the non-profit world to work together to create change. At times, collaboration that comes in the way of just talking- having a conversation about the reality of situations and what is realistically happening to solve issues; With FullSoul, Christina is not one to shy away from conversations- even the difficult ones that may be necessary in forming an organization, or working with an issue as sensitive as mothers and babies dying during childbirth. Considering the big picture is important in these organizations, and understanding that there is collaboration that needs to take place- no one- person or organization- needs to do it all, nor can they! In working together at an organizational level, we can hopefully create an environment and culture of commitment and collaboration among those communities we work with as well- which then truly benefits everyone! Reciprocity (“making sure it’s good for them and good for us, and no one’s values are compromised”). This is important as an organizational stand-point- with so many incredible and very important causes, it is important to have a focus; we can’t do everything! Being able to find what we (or any organization) excel at allows us to do the job well- and others to do the same! Teaming up can assist in larger projects succeeding, which is beneficial for all those involved! Treating people with respect! Allowing those important communications at a higher level in the organizations really does come down to how we treat people at an individual level as well. When we can have those honest, open and effective communications in planning meetings, we can take that same attitude when we’re ‘on the ground’- and vise-versa! Reality Check (“being realistic with what we’re talking about so we don’t take on too much and we can keep our commitments”). Again- knowing what we are and what we are best at. Where our reach is and what we can do most effectively with our resources. Sometimes large projects are the dream but not accessible at a certain time- and that is okay! Allowing others to take on a good idea instead of holding it back to be our own- that creates the change that we are all working towards. Much of what a non-profit, especially FullSoul means is working together- from metropolis Canada to rural Uganda- we are all working for people- to allow others to live and thrive and do the same. Everyone has a part to play in this and as a non-profit organization, FullSoul is one example of soulful individuals collaborating to create something big- reducing maternal deaths and bettering maternal and child health in Uganda. None of us could do it alone, and FullSoul could not do it without you too.